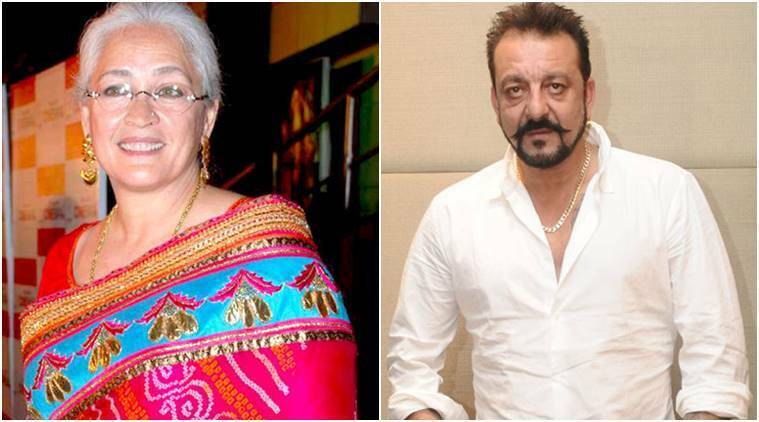 Nafisa Ali will be actor Sanjay Dutt's on-screen mother in Saheb Biwi Aur Gangster 3. Nafisa took to Twitter to express her excitement about the project. Kabir Bedi has also been roped in to play Dutt's father in the film. Nafisa Ali will play Sanjay Dutt’s mother in Saheb Biwi Aur Gangster 3. Veteran actress Nafisa Ali will essay the role of actor Sanjay Dutt’s mother in the third installment of crime drama franchise ‘Saheb Biwi Aur Gangster’. Nafisa on Tuesday expressed her excitement of being a part of the film and said she is looking forward to the shoot. “Being a mother is such an important role… Look forward to shooting for director Tigmanshu Dhulia in ‘Saheb Biwi Aur Gangster’ franchise,” Nafisa tweeted. Apart from Nafisa, veteran actor Kabir Bedi has been reportedly roped in to play Sanjay’s father. This will be the second time when Kabir will play Sanjay’s father as the duo also shared screen space in the late Feroz Khan’s 1992 action film ‘Yalgaar’. Jimmy Shergill is the prominent part of the ‘Saheb Biwi Aur Gangster’ series and so would be seen in its third chapter also. Sanjay Dutt has recently wrapped up shooting for Bhoomi. He will be seen as the gangster in ‘Saheb Biwi Aur Gangster’. The backdrop of the film remains on similar to the first two parts of the saga. Directed by Tigmanshu Dhulia, the first installment of ‘Saheb, Biwi Aur Gangster’ was released in 2011 and starred Jimmy Shergill, Mahi Gill, and Randeep Hooda. The film revolved around a royal family of U.P., but the film was shot at Devgadh Baria, a princely town situated in Gujarat. The sequel titled ‘Saheb, Biwi Aur Gangster Returns’ was later made in 2013. The film featured Jimmy Shergill, Irfan Khan, Mahi Gill and Soha Ali Khan. Nafisa Ali was last seen in ‘Yamla Pagla Deewana’ with Dharmendra in 2010.